His real name was a 10 syllable doozie: Do-men-i-kos The-o-to-kop-ou-los. No wonder they just called him El Greco (The Greek). He was born in Crete (part of Greece at the time), studied in Venice and Rome, and then settled in Spain. His style was a mix of Byzantine, Renaissance, and Mannerist due to his many influences and he had extraordinary confidence in his own unique style, which is now seen as ahead of its time. El Greco (pictured above) was a life-long Catholic who started out in Crete painting religious paintings (commonly referred to as icons) in the Byzantine style from the Middle Ages. When he moved to Venice, Italy, and then later to Rome, he soaked up all the style and techniques from the Renaissance. Later he was exposed to the ideas and style of the Mannerist movement. All three of these styles (Byzantine, Renaissance, and Mannerist) show up in his work. Eventually, he settled in Toledo, Spain (the largest city in Spain at that time), and had one son, Jorge Manuel Theotocopoulos. The public didn’t really like El Greco’s strange foreign style. In fact, one friend, at El Greco’s funeral said El Greco was “too odd for his time.” Now we just think of him as ahead of his time. While a few art historians think El Greco to was too unique to be classified as Mannerist, most lump him in with Mannerism. 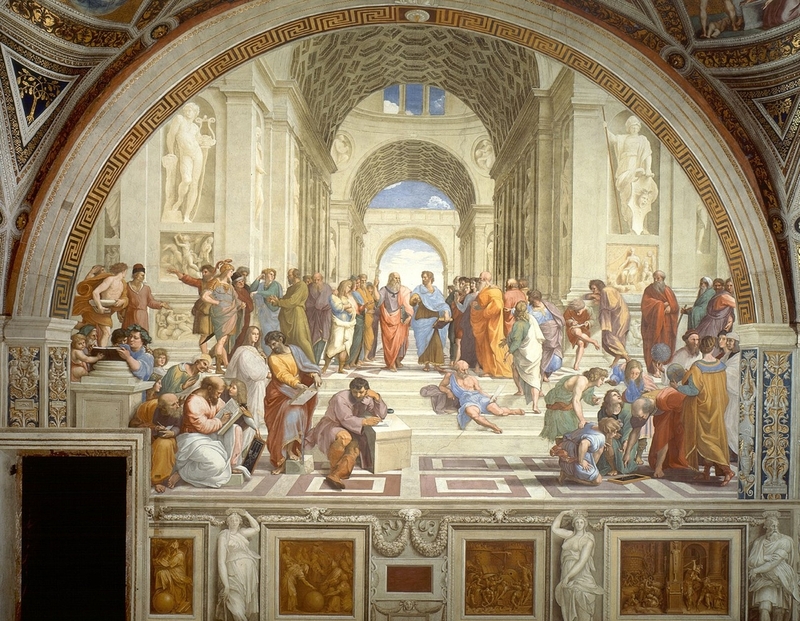 Mannerism is an art style where the artists rejected the natural beauty and balance of the Renaissance (think of Rapheal’s School of Athens, a classic Renaissance painting) and instead sought to display their unique emotional feelings of dissonance using vivid colors, strange light sources and exaggerated, muscular, twisting, and often distorted figures. Look at El Greco’s paintings shown above and see if you can find each of those elements. El Greco’s mix of Byzantine (Medieval), Renaissance, and Mannerist style gave him trouble as patrons demanded lower prices or refused to pay at all, but he was able to support himself and his family painting traditional portraits (shown above). He even had a shop where he trained other artists and his son. 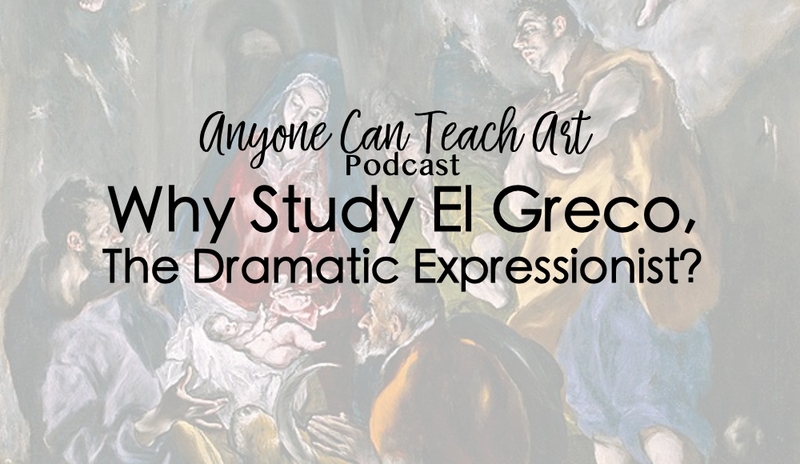 We see El Greco’s influence on many future generations of artists in the Expressionism and Cubism movements. 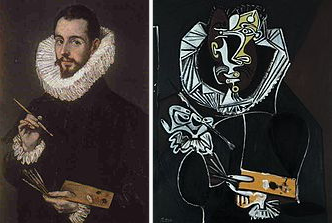 Cezanne, Degas, and Picasso all mentioned El Greco by name as a source of inspiration. 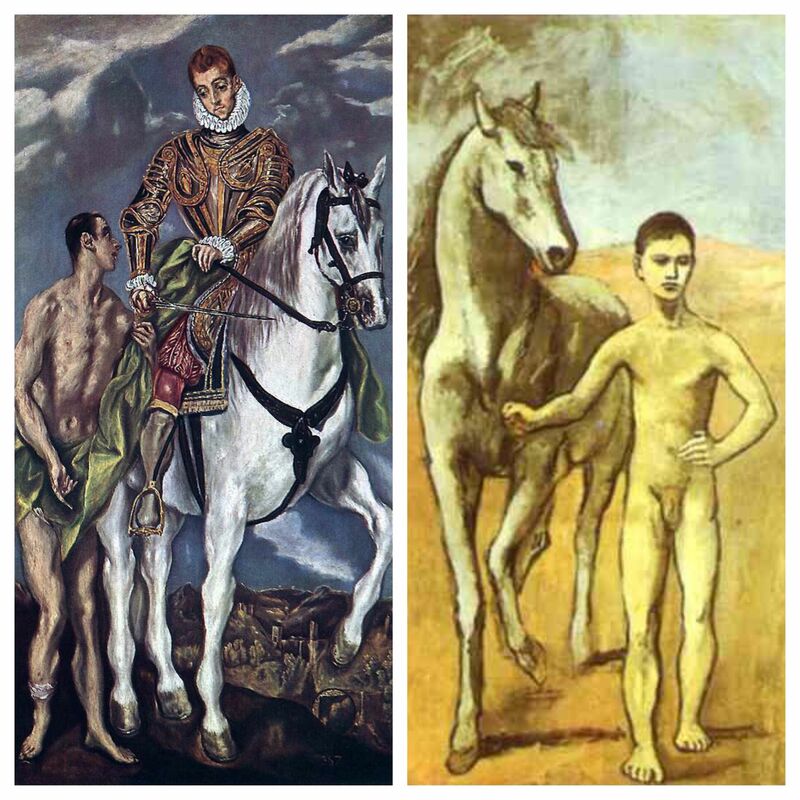 Picasso even painted a rendition of St. Martin and the Beggar. and El Greco’s Portrait of Jorge Manuel Theotocopoulos (El Greco’s son). In celebration of El Greco’s masterful use of value (lights and darks) to create odd sources of light, we’re practicing creating value. 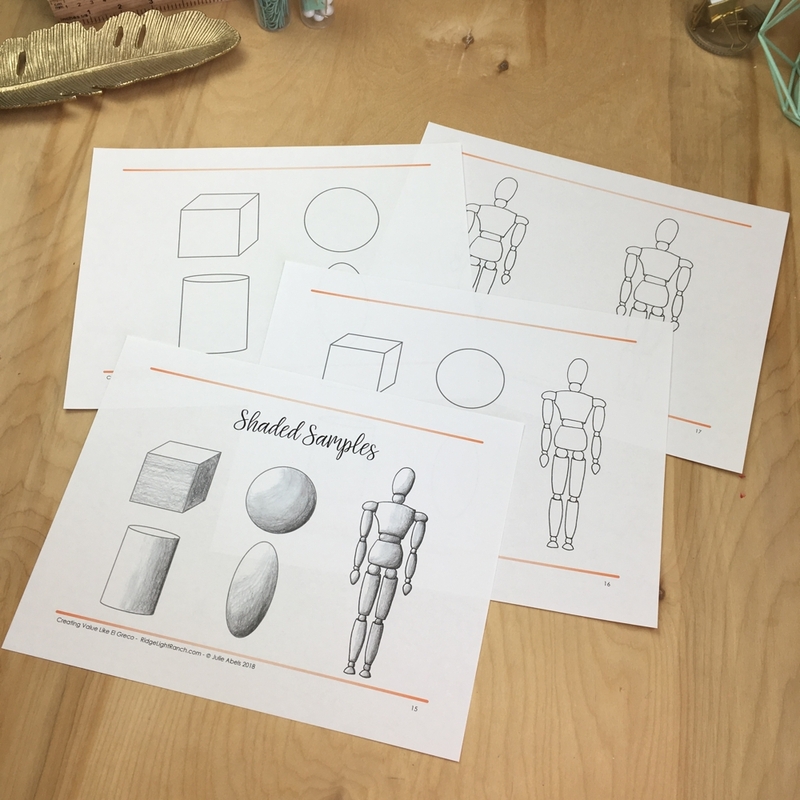 We’ll be shading basic shapes to create a cube, cylinder, and sphere, and then shading a wooden drawing mannequin. The students can start with my pre-draw shapes or draw their own! This is a really important drawing skill and once your students master it, they’ll be able to use value in other media as well. A blending stub makes this easier (and more fun, according to my kids). I hope you’ll try out this lesson and post some photos of your shading in our “Anyone Can Teach Art” facebook group! Next week we’ll finish out Season 2 of the podcast with a discussion of different Drawing Exercises (a chapter in my upcoming book!!!!). We’re recovering from the fun craziness of Christmas and preparing for a class we’re taking with our Dad at the Art Institute at the Arizona Sonoran Desert Museum all about drawing and painting birds! We’ve been wrapping up our fabric dyeing experiments with mom and planning some more. I’ve been working hard on the first drafts of new art lesson plans for the fall of 2019! We post photos of our personal art and adventures on our Instagram accounts. You can find us here: Julie is at RidgeLightRanch and Deanna is at deanna_munger.